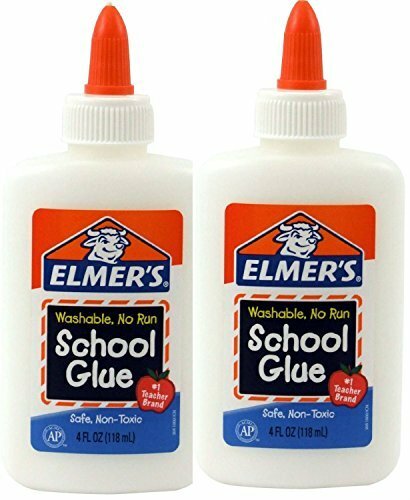 A fun and easy summer craft for kids perfect for home or school. 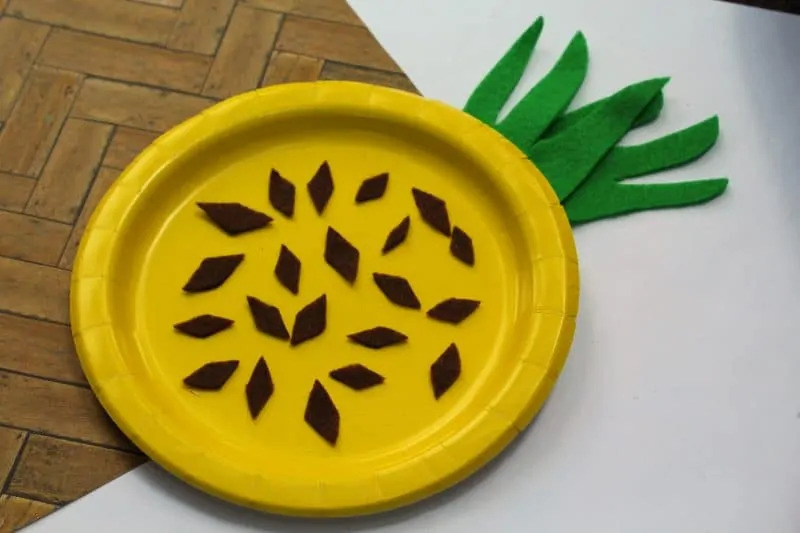 This paper plate pineapple craft is colorful, fun, and easy to make using craft felt or paper, a paper plate, and glue. You might say that I have a “thing” for pineapples. They make me feel good inside. There is just something about them just screams summer and fun times. 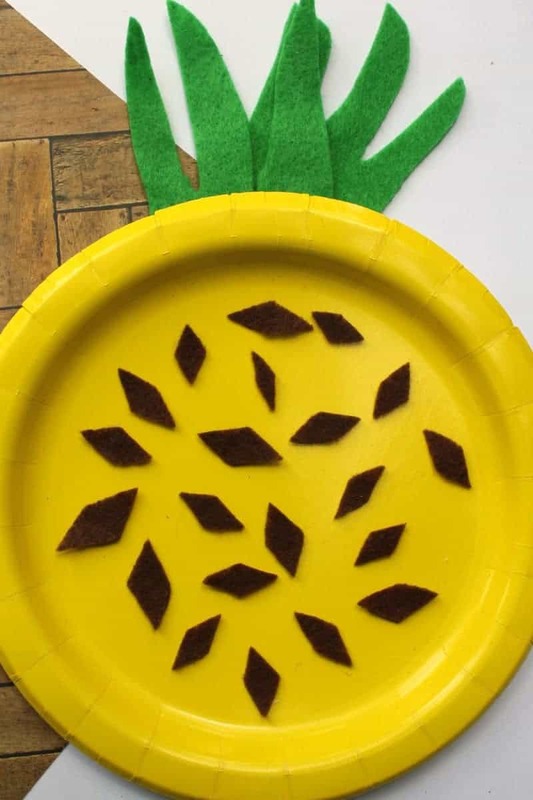 Today I am sharing a fun paper plate pineapple craft for kids with you. This craft is super simple and perfect for preschoolers to do at home or at school. 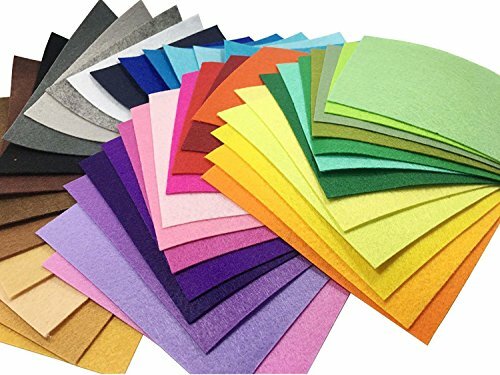 An adult should complete step 1 to cut out the felt shapes and have them ready when beginning the craft. 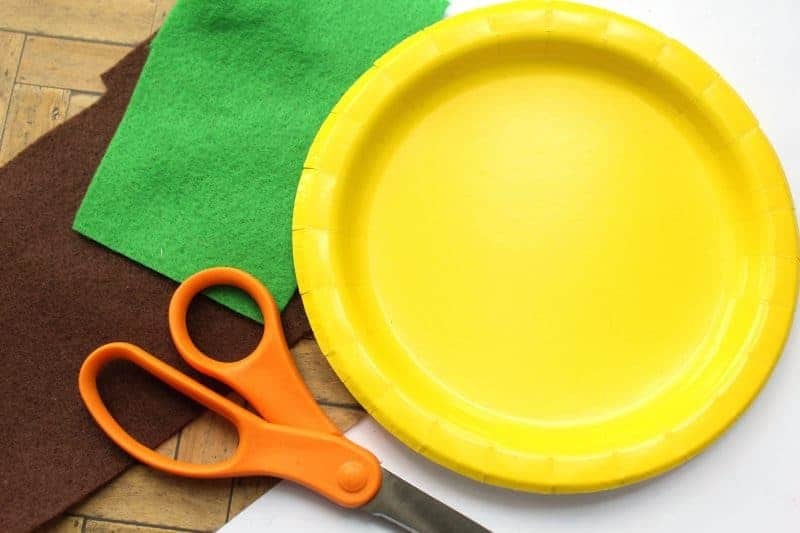 Present the child with the cut felt pieces, paper plate, and glue and your little one should be ready to complete the craft, perhaps with a bit of assistance from you depending on their age. 1. 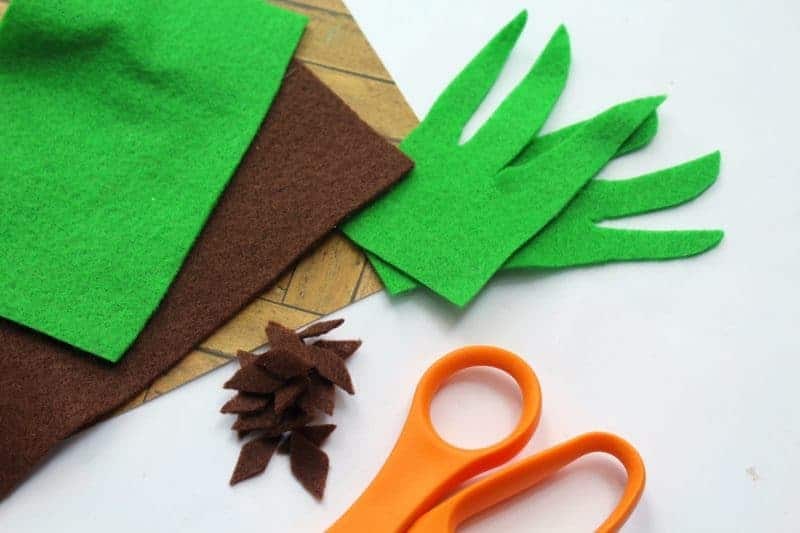 Start by using green felt to cut out the spikes for top of pineapple. Then, cut several diamond shapes out of the brown felt. 2. 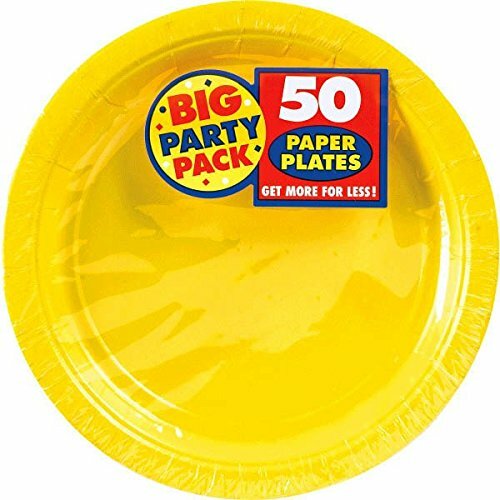 Turn the plate upside down and glue the spikes to the top of the plate so that they are sticking out the top. 3. Next, turn plate back over and glue the brown diamonds all over the plate itself. 4. Allow to dry before displaying. 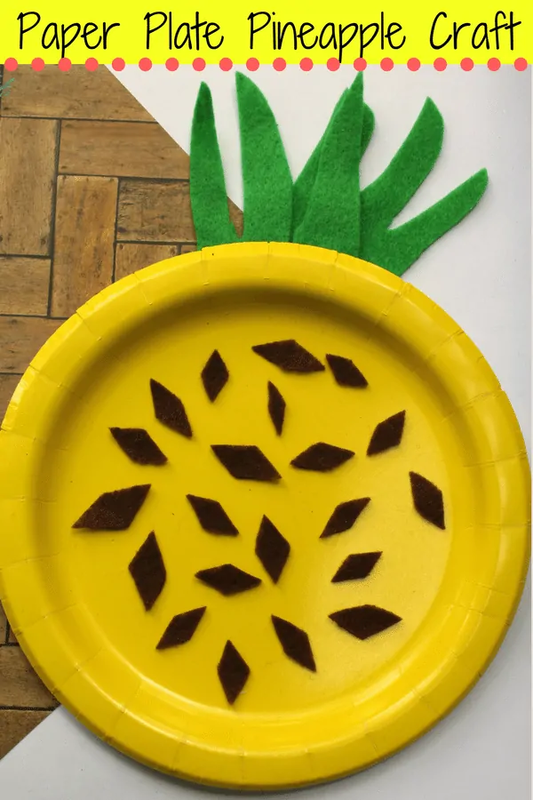 Consider pairing this pineapple paper plate craft with this yummy kid-friendly pineapple smoothie for a pineapple-filled afternoon! I hope that you and the little ones enjoy this cute summer pineapple craft! If you have some paper plates leftover, consider using them to make these cute paper plate fish. Aww! This is so adorable! What a nice project, and so creative. Thanks for posting! Summer break starts soon and I am going to need crafty ideas like this to keep us busy! I love this craft. Pinned it for a rainy day with the grandchildren.